Emebet is a young woman from the YWCA of Ehtiopia. 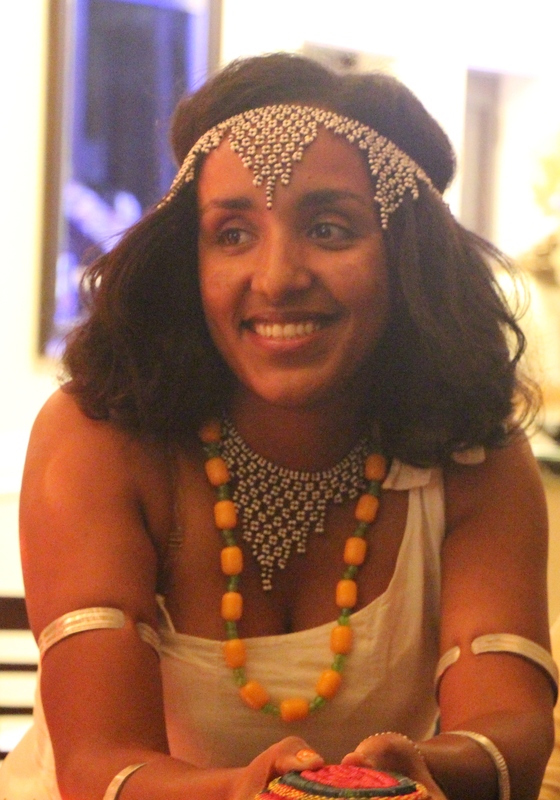 She has been working at the YWCA in Addis Ababa and she shares with us her incredible journey to self-empowerment. My name is Emebet and I work with the YWCA of Ethiopia. For me it has been a long journey to get to where I am today and dramatic changes had to take place in order for me to achieve all that I have. I was born in a rural area where girls were not allowed to go to school. By the age of 7-8 girls are married rather than educated. Since I come from a well-to-do family an arranged marriage was a normal practice in our area and getting married is the only fate I had. In order to avoid that horrible situation I had to come to Addis Ababa, the capital city of Ethiopia, to live with my distant relatives. Unfortunately life was not a bed of roses when I arrived to Addis and no one welcomed me with open hands. There was nobody that could help to send me to school or to give me a shelter. Thus I had to work as a domestic worker in order to attend evening classes. It was very difficult for me to attend school and to also complete all the house work which was expected of me. Despite all the hardship I managed to be successful in my studies and my teachers were very supportive. I joined the YWCA Ethiopia when I was a high school student as a library user. I then joined the Addis Ababa University School of Social Sciences and I became the YWCA’s project beneficiary and volunteer. I participated in many of the trainings including on leadership, SRHR, mentoring, TUSAME – which means “let us speak out” in Swahili, as well as other activities. This brought a radical change to my life. My self-esteem improved and I began to participate in different student activities, especially in activities that involved the participation of women at the University. When I graduated the YWCA employed me part-time as a youth mobiliser in their University project. This was the turning point in my life. After all the hassle that I had gone through, I became an NGO employee and an influential young woman at the University. When I graduated I was given the opportunity to work as a graduate assistant and I was also awarded the female scholarship which was provided by Addis Ababa University. I preferred to continue my post graduate studies rather than to work, though I did continue to work with the YWCA of Ethiopia. After a year the YWCA employed me fulltime as their Project Officer. Since I have been working at the YWCA I have received so much exposure, especially at various international conferences and events, such as the African Union Summit and the ICASA Conference in Cape Town, South Africa. I never dreamed I could have made it this far when I was a young girl in my village! Imagine what a great deal this is for a person like me! I can’t express in words how much the YWCA has changed my life. Being given the chance to travel to South Africa in December gave me the possibility to meet other young women and to share my experience with young people that come from different countries in Africa. A study that was presented at the Youth Pre-Conference of ICASA shows that 33 million people in the world lives with HIV/AIDS. Though the number of AIDS related deaths has decreased drastically in recent years, the number of young people affected by HIV/AIDS is still very high and in some instances even rising. As an empowered young woman, I no longer need to find my own self-empowerment. Now I am responsible to empower others and to help us to, together, overcome these problems that we face as young people. In my work at the YWCA I hope to improve our engagement and service and to further develop our work on comprehensive sexuality education. A lively history! I am really really proud of you!!! When I read this story the history of my Elder Sister who married at her age of 10 years who was a hard working but deprived of her potential to use in her desired journey. I would also like to appreciate your upcoming dreams. However, things are coming differently. In the presence of good opportunity abduction is the most horrible traditional practice highly persists at the rural community. Let me tell you one of the touchy incident I have never for get. It was at the Eve of Ethiopian Easter in 2005 Ethiopian Calender. She was a 13 years old beautiful girl. She was at grade 8 ready for the National Exam. When the came back to home after taking her photo from the photo shop, she was abducted and taken away to some place. But as there were no response, her family started to find her. Finally the got an information where she was put. Then, her family went to the place where she was put. Finally a horrible fight occurred at mid night. Unfortunately, she passed away by a bullet shot out from one of the groups in the fight. I always used to encourage her mom who have no child today except an accumulation of wealth which dissatisfied her. In this case the are a lot of unfinished assignments expected of us to acomplish. Hence I have the same dream. So let us unite to ban early marriage and abduction! Make sure every step of you is positive, Continue with great effort!! !